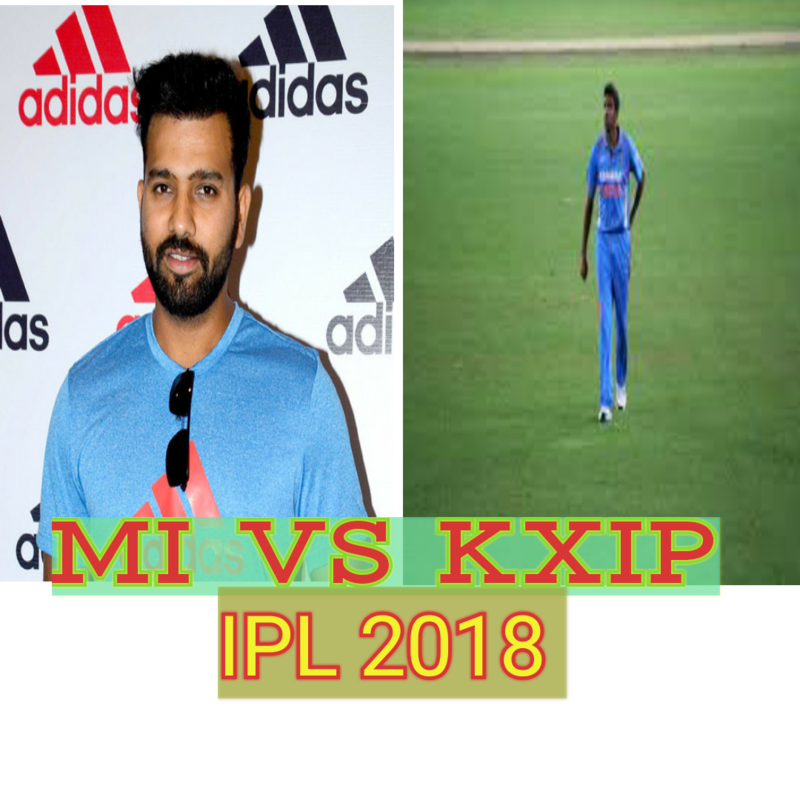 MI vs KXIP match will be played in Holkar Cricket Stadium Indore at 8pm on 04 May 2018. KXIP is a good balanced team . After joining Chris Gyle this team became extra strong. this team is at 4th position in point table. But against SRH given weak performance in which couldn't achieve wining target that was only 133 and lost the match. Although this team is a well balanced team and able to defeat any other team in IPL 2018. MI on other hand reached to the condition similar IPL 2014 in which after 8 matches with 2 wins and 4 points this team was on below from all other teams in point table. There are same condition in 2018 , 8 matches ,2 wins 4 point and stayed down to all other teams in point table. In 2014 MI won the trophy and made a history. If Rohit Sharma comes in form regular then this team may defeat oll other teams and can repeat history 2014. 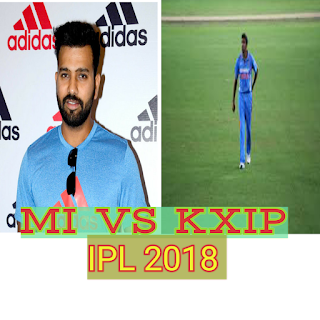 Suryakumar Yadav, Kiron Polard, Rohit Sharma, Ishan Kishan J P Duminy, Krunal Pandya , Hardik Pandya, Ben Cutting, Jaspreet Bumrah, Mayank Markandey, Mitchell McCleanaghan. updated you ones match will start. Mumbai Indians won the toss and elected to bowl first. Chris Gyle and KL Rahul started the inning of KXIP. KL Rahul[24 of 20], Chris Gyle[50 of 40] and Marcus Stonis[29 of 15], played agressive and blasting. Karun Nayer[23 of 12] also played good inning. But other players such as Yuwraj Singh, Axer Patel  and Mayank Agrawal played average inning . KXIP scored 174/6 in 20 overs. Mitchel Mc Clenaghan, Jaspreet Bumrah, Mayank Markandey and Hardik Pandya got 1-1 wicket .